SAE1055/AISI1055 Carbon Steel is a medium carbon steel which is characterized by good weldability, good machinability, high strength and impact properties in either the normalized or hot forged condition. 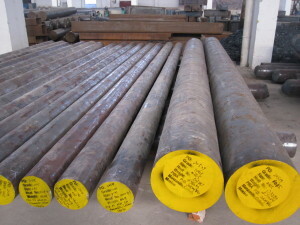 SAE1055/AISI1055 steel is widely used for axles, bolts, forged connecting rods, crankshafts, torsion bars, light gears, guide rods etc. SAE1055/AISI1055 Carbon Steel manufacturers and suppliers,delivered in round rods,square/flat bars,rollers,shafts,blocks and forging pieces.